Having an abscessed tooth is never fun. They are fairly painful and can have some serious consequences if you wait too long to have it treated, or leave it untreated entirely. Any dentist will tell you that the condition of your oral health reflects the rest of your health, which is nothing but the truth, especially in this case. Need help finding an emergency dentist near you? We can help you find a dentist to fix your abscess right away, find a dentist here. More than 200,000 people suffer from an abscessed tooth in the nation every year, which is an infection of the mouth. They can form either between a tooth and the gum or at the root of a tooth. 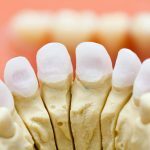 Should a tooth, for whatever reason, become full of thick, almost yellow fluid, commonly known as “pus”, that may not be able to drain properly. This is how an abscessed tooth will form. In short, abscessed teeth occur once the nerve is dying or already dead. A periodontal abscess, which affects the gums, is the other type of oral abscess that can occur, as well. Those with severe periodontal disease are at a great risk of an abscess of the gums. Knowing and understanding the symptoms and signs of an abscessed tooth are extremely important. Catching an abscessed tooth as early as possible will ensure that minimal damage can be done to the rest of your oral health. If you are currently experiencing any of the symptoms and signs of an abscessed tooth listed above, no matter how few or how many, make an appointment with your dentist as soon as you can. If you’re experiencing any of the symptoms of an abscessed tooth, but cannot get in to see your regular dentist as soon as possible, or within the span of a couple of days, you will need to see an emergency dentist. As previously noted, abscessed teeth are extremely dangerous and can cause serious harm to your physical health entirely. Our 24/7 dentist hotline also includes dentists who handle all types of dental emergencies, including abscessed teeth. There are more than a handful of main causes for a tooth to form an abscess over a short or long period of time. Depending on the damage done, abscess growth can vary and be somewhat unpredictable. 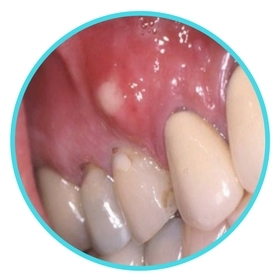 An abscessed tooth is typically the result of tooth decay that has formed over time and on a more severe level. Damage to the tooth, such as a fracture or a chip, are also a major cause of this oral health problem. Frankly, any sort of trauma to a tooth can result in an abscess forming if it’s not fixed or resolved in some way. Gum disease, gingivitis, and severe periodontal disease are also some of the main causes of a tooth developing an abscess. Once one of these instances has occurred or has been left untreated for a long period of time, the next stage of the infection begins. Once the foundation has been built, the infection will set in and begin to fester. For example, a broken tooth will typically cause openings around the tooth itself and the tooth’s enamel. From there, bacteria can seep in and infect the pulp, or the center, of the tooth. If the infection is not dealt with, it can spread from the pulp, down to the root of the tooth, and further to the bones that are in charge of supporting that individual tooth. However, it won’t stop there. The infection will keep going and run rampant on the rest of the mouth. If you break a tooth to the point where there is a hole that exposes the pulp, but for whatever reason you cannot see your dentist soon enough and/or do not have access to an emergency dentist, there is a quick fix you can do to preserve and protect the tooth until it can be treated. Pharmacies typically have an over-the-counter filling material for temporary tooth repair. It works by sealing up the hole and protecting it from further damage for a short period of time. This method also works for teeth that have been severely cracked to the point where, even though there isn’t a hole, bacteria can slip it and run rampant. Based on the symptoms and signs of an abscessed tooth that were outlined earlier for you, you can expect quite a few things to occur during this time. Although abscesses do not always bring on the same symptoms, most cases are varied between only one and a few of them. However, swelling and inevitable pain are two symptoms that are always seen in patients with an abscessed tooth. Until you can get in to see your dentist about the tooth you will be on your own where ways to ease the symptoms and the pain are concerned. First of all, because the infection has more than likely invaded the dentin layer of the tooth, you will need to avoid very cold and very hot food and drinks. You will feel nothing but pain from cold drinks, ice cream, tea, coffee, hot soup, etc. as a result of the extreme temperature. This goes for acidic and sugary drinks and food, as well. Rinse your mouth out up to three times each day with warm salt water to help remove as much of the bacteria as possible from the area that’s infected and slightly ease the pain. Interestingly enough, salt water is a great DIY antiseptic for any oral bacterial infection. Ibuprofen and other over-the-counter medicine for pain relief may just be your best friend during this time. Because an abscessed tooth will, more often than not, cause some swelling and inflammation, ask the pharmacist or doctor, if one is available, about a pain reliever that also helps to reduce inflammation. Garlic is a natural killer of bacteria, especially the juice that comes from raw cloves. Squeeze and crush a clove or two, dab your finger in the juice and apply it on the infected area. Clove oil also works just as well in this case, too. Herbal tea bags are another great way to relieve some of the pain. Simply steep the tea bag, remove it from the cup of water, and gently hold it on the infected area. Lastly, if the pain and swelling are not overly severe, try gently flossing in the infected area. While this may seem very risky and painful, as long as the infection isn’t too severe, it shouldn’t hurt as much and will actually help. Removing plaque and any food particles will help to ensure that the area isn’t irritated and won’t become more inflamed, if at all. An abscessed tooth that is left to fester will spread rather quickly, causing extreme amounts of damage to the rest of your mouth. The surrounding teeth and bone will become damaged, especially. As with any infection no matter which kind, more damage will come as a result of being left untreated. A hollow tunnel can often form through the skin and the bone for the pus to drain, known as a “sinus tract” or a “fistula”, which you may be able to feel or see through the opening in your mouth. You’ll know if one of these tunnels have formed if you don’t see it, because you will have a strange taste as a result of the pus draining from it. It looks somewhat like a pimple. However, while the drainage of the pus may seem like a good sign, it’s important to know that the infection is still there. Cysts, bubbles filled with fluid, may form in the bone of the jaw if the infection isn’t treated, as well. During treatment, if the tooth has to be removed and cannot be saved, the cyst may come out at the same time the tooth is extracted. As noted earlier, abscessed teeth are one of the prime examples of how dental health affects the rest of your health elsewhere. The infection is in a location that allows for convenient spreading. Unfortunately, these examples listed above are only a handful of examples of what an oral infection can do to a person’s physical health if it is not treated as soon as possible. Your dentist will perform a basic oral examination to get a look at the infected area and determine how severe it is. From there, they may have you do an x-ray to find any smaller abscesses located within the deepest area of the infected tooth. Once that is handled and your oral health situation is clear, the dentist may make an incision in the abscess or a hole in the tooth, depending on where the abscess is located, and drain it of fluid and pus. They may also put you on antibiotics to help with the symptoms and the infection itself to kill the bacteria. However, if the infection is life-threatening and/or puts you at risk, it’s common that you will be referred to the hospital for admission to control the infection. If hospitalization isn’t needed, the drainage and antibiotics will be used as the primary source for eliminating the infection and preventing a recurrence. You may need a root canal treatment, a periodontal treatment, or have the tooth extracted entirely. If the infected tooth is too far gone, meaning already dead or severely decaying, the dentist will have to remove it entirely to ensure that another abscess does not form. Finding a dentist near you, whether it be for something minor or an emergency, isn’t always easy. You may not know where to look, be able to drive around to different offices, or know where to start in general. What’s more, if you have an abscessed tooth, or another oral condition that’s considered severe, but don’t have a regular dentist, don’t know where to find one, or don’t know where any emergency dentists are, the situation can turn from bad to worse in a short amount of time. This is why it’s important to figure out what your options are and look into available resources. Finding an emergency dentist that is relatively close to your location can be difficult, especially if your transportation is limited. However, there are resources out there that can help you find an emergency dentist in your area at the drop of a dime. Before you delve into any other available resource, try calling our 24/7 dentist hotline for immediate help. It’s fast, free, and may even connect you with precisely what you need without you having to look anywhere else. 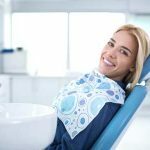 Knowing some of the resources that are available to you that are close by in case you need an emergency dentist for whatever reason will ensure that you have the help and information you need as soon as possible. If you do not see your desired question listed below in our FAQ section, feel free to get in touch with us and we’ll gladly help you! An abscessed tooth is a pocket of pus within a tooth that has been badly chipped, broken, fractured, dying, already dead, etc. The pocket is typically within or around the tissues of the tooth and may also be a result of periodontitis or gingivitis. This also results in damage to the surrounding tissue and the bone, which will then cause an abscess to form. The typical symptoms of an abscessed tooth generally include swelling, pain, redness of the gums, a foul taste in the mouth, and sometimes even a high temperature, fever, or flu-like symptoms. A dentist will typically treat an abscessed tooth with drainage of the infection itself, antibiotics, and/or removal of the infected or dying/dead tooth entirely. It depends, however, on how severe the infection is and how long the patient has had it for. Why are antibiotics used to treat an abscessed tooth? Abscesses are a form of bacterial infections, so antibiotics, which are used to treat bacterial infections, are very effective in treating this type of oral health issue. Can an abscessed tooth be saved? Yes, sometimes the tooth can be saved. If the tooth’s pulp has yet to be infected from the abscess, it will be removed to try and save the tooth through a root canal treatment. Although, if the tooth cannot be saved because of the damage as a result of the infection, it will have to be extracted from the patient’s mouth. Is swelling normal even after drainage? Sometimes, yes, swelling is normal even after you have had your abscess drained. However, you should still speak with your dentist, or even your doctor, to ensure that nothing else is wrong. There may be an underlying issue, or one that came after you had it drained, that may need attention. 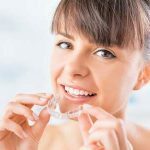 Abscessed teeth are not a simple dental issue that can easily be dealt with, and they are not something that should be put off for very long. Educating yourself on what they are, what to expect treatment wise, and why it’s crucial to your overall health to have them treated will ensure that you can put your mind at ease while the infection is dealt with. If you are currently suffering from an abscessed tooth, or any other dental health issue, but do not have a dentist and are not sure what to do, call our free, fast 24/7 dentist hotline to get immediate help. We can help you find a dentist and get you an appointment within the same day. This page has plenty of useful information on everything you need to know about abscessed teeth, and even abscessed gums, in one place. This page includes helpful information and a visual aid, a video, for viewers that is about treating an abscessed tooth through endodontic surgery. This page contains both useful information and helpful tips on relieving, and avoiding, pain from an abscessed tooth at home until it can be treated by a dentist. These pages have very useful information for those who want to learn more about how the condition of our oral health affects the rest of our bodily health and well-being. 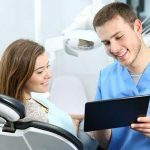 This search directory from the ADA can help those looking for a dentist that is as close to them as possible. Abscessed Tooth? Click to Call for a Local Dentist Fast!